Perfect synchronization between the cylinders regardless of weight distribution. Mechanical safety latches with automatic engagement and pneumatic release ensure maximum safety when the hoist is in the standing position. Equipped with a safety valve to prevent overloading in case the hydraulic hose bursts. 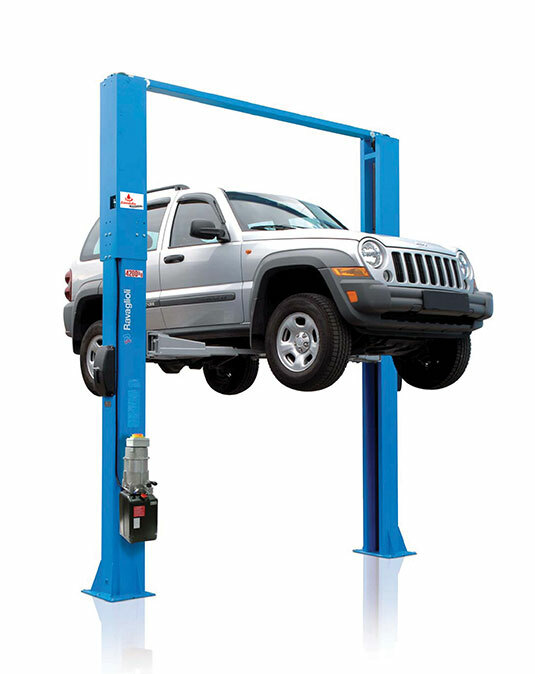 Arm locking devices engage automatically thereby ensuring the stability of the vehicle being lifted.